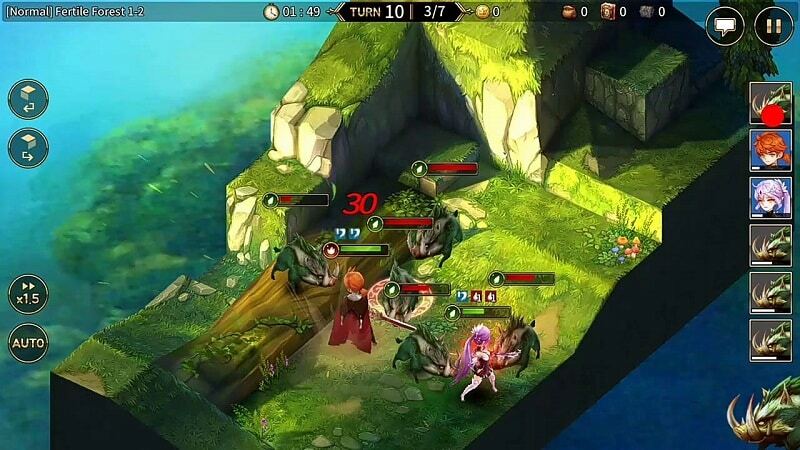 This is a new role-playing, strategy, PvP action game developed by Gamevil for Android and iOS devices. If you a fan of “Game of Thrones” you’ll definitely enjoy playing this free game. Your main objective is to play and become the ultimate Crown before other players can do so. Despite the fact that it’s officially available only on mobile platform, PC users can now play the game on their Mac and Windows laptops or desktops. Why is Everyone Talking About War of Crown? The game is based on an immersive storyline that will make you lose yourself. Once upon a time, there was a Great War which involved terrible struggle, but it reshaped the world. The God of Destruction unleashed very powerful Dark forces that plunged the world into chaos. Everyone seemed to have lost hope. In the end, it was the strength of Men as well as the sacrifice of Arwyn the Hero King that enabled the Allied Races to drive out the Darkness. But the peace was short-lived and fighting broke out once again over the crown of the fallen Hero-King. Little did they know that a Dark threat was moving closer in the shadows. That’s how the epic adventure of Eshirite, the Child of Destiny begins. You have been summoned to fight the forces of destruction with the help of fellow warriors, resources, weapons, hidden items, unlocks and skills. Note that people are losing motivation on the fight against the stronger evil and your character is the last hope for survival. Will you manage to help the King get his crown back and restore the faith of humanity in leadership? Of course, it’s a tough task, but you can create alliances with other players and deal with the enemies as a united force. The game play of War of Crown begins in room where players are deciding what they can do to reclaim the crown. If you are a new player, you can get the idea of the game by playing in tutorial mode. Play as unique heroes with a variety of stunning skills. You can form a fearless team of heroes, and each hero has their own special skills and weapons. Game currency in gems and coins will help you unlock food, resources, skills, characters, new maps etc. The game can be played offline or online. The online game is dependent on the offline mode since you can learn about characters and heroes only in the offline mode. You should play with many characters offline to master their skills and work on how you can get perfect combinations. Choose to play different PvE or PvP modes, which include Story, Arena, Adventure and more. Each mode features heat throbbing fights between opponents. Players have keen senses that enable them to carefully dodge attacks at them and in return shoot and finish off all the enemies, to be declared victorious. Construct an ultimate Battle Party based on your heroes elements, equipment and strengths. There are rewards for players who emerge victorious. Improve your skills and try out various battling tactics as you progress through the game. Your turn determines your move, and your move determines your destiny. When playing on mobile, game controls are extremely easy to understand and use since it involves just multiple tapping and swiping. But once you install the game on your PC, you’ll enjoy even better performance with mouse and keyboard. Download War of Crown for PC on your Windows 7/8/8.1/10/XP and MAC OS to experience the thrill of a true strategy RPG like never before. 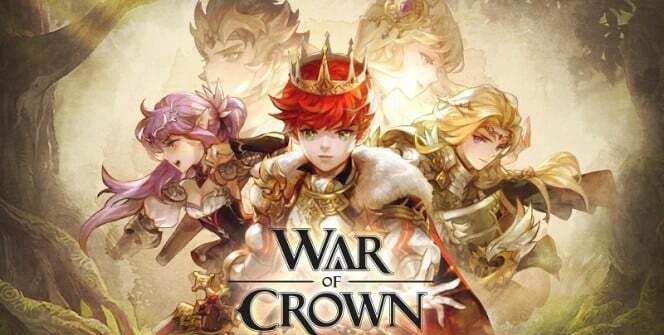 Warning: War of Crown servers shutted down in Jan 2018 and it is been removed from iOS and Google Android App Stores! Sometimes when playing War of Crown, bluestacks ask you fee to pay but gives you option to download some apps. Every time it asks you just select “Install apps” and continue using it free. I hope you enjoyed this article, please rate and share. 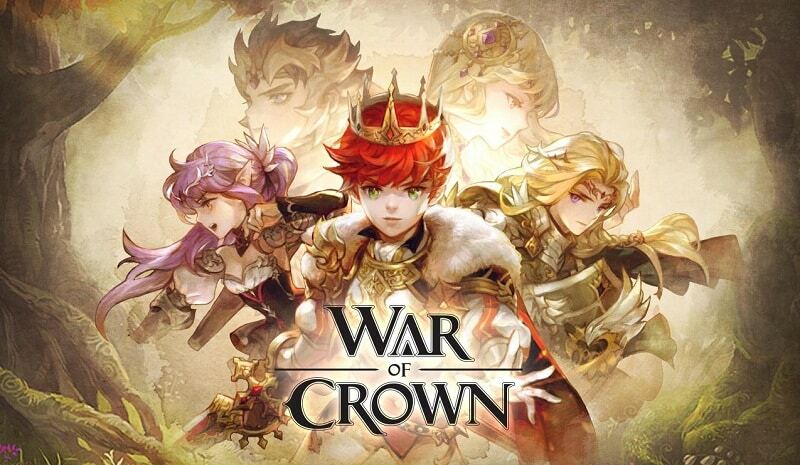 If you have problems running War of Crown on desktop or any other issues, leave a comment below.